The Little Church at the Bend in the Road” as it was called, is the oldest church in Medina County. 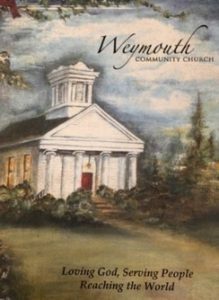 In 1835, a small group of men and women met to organize and maintain the First Congregational Society of Weymouth, the original name of the church. The church applied for and received corporation papers, signed by the Speaker of the Ohio House of Representatives and by the Speaker of the Ohio Senate. 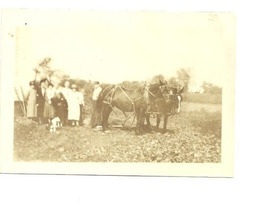 The first service was held on April 18, 1835. The church building was started and partially completed in the summer of 1835. In 1847, the question of slavery was becoming the most vital issue in the United States and its importance penetrated into this small community. Ohio, a free state, was a stepping stone from Kentucky to Canada. Many fugitive slaves sought freedom and Weymouth, with its decided abolitionists helped more than one slave to freedom. This little Church took a stand on the subject of slavery and its resolutions were adopted on September 7, 1848. It was the only church in the county to take a stand against slavery. 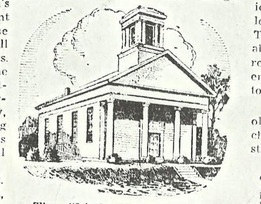 Because of the strong abolitionist stand of Weymouth Church, the Presbytery of Medina County dissolved relationship with the First Congregational Society of Weymouth. 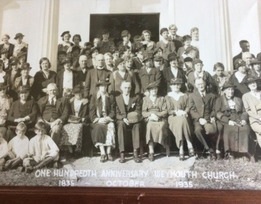 In 1920, the name of the First Congregational Society was changed to Weymouth Community Church. The original meetinghouse, with its simple and stately design set near the road, reflects the strength and endurance by the pioneer founders who built it. Today the same strength and endurance exhibited by our founders continues to this day in the hearts of those who attend Weymouth Community Church. Error: Error validating access token: Session has expired on Saturday, 20-Oct-18 19:51:05 PDT. The current time is Monday, 22-Apr-19 11:40:12 PDT.